In these days of uncertainty and change the complexity of intersecting lives brings a call to the seekers of peace to practice together. We invite you to join us in the parklands of St. Columbs Park House on the edge of the city of Derry in Northern Ireland for our Peace Dojo. We invite you into a space where we will explore our deeper sense of purpose and belonging as we face these interesting and challenging times in a field of practice using the principles of Aikido, the Japanese bokken (wooden practice sword), through Art of Hosting practices, and through playing the Flow Game together. The call to be more conscious, more centred, and more grounded arises from this land and bids us forward as we face our future together here and on this planet. You are invited to a three-day residential dojo to learn and to practise in a beautiful setting with others who are passionate about practicing peace. In dealing with the challenges, complexities, and demands of modern life, this gathering offers us an opportunity to explore ways to work from a place of peace and strength: a place that has the heart at the centre, is balanced, calm and clearly decisive when action is needed. Through guidance and fellowship, let's explore practices that offer insight into the nature of leading self and others as a "Practitioner of Peace". This gathering is being organised by Toke, Charo, Julian, Kieron, Melinda and Simone. Toke Moeller is the host and sensei of the dojo, he is a warrior of the heart Aikido practitioner and host of participatory leadership processes. He is a co-creator of The Art of hosting, The Flow Game, The Practicing for Peace dojo and Designing for Wiser Action. The location of St Columb’s Park House is in the heart of a park that is steeped in heritage and nature and is ideal for reflection, restoring energy and connecting to nature. This important park is a breathing space, the 'lungs' of the city and is accessible to everyone. 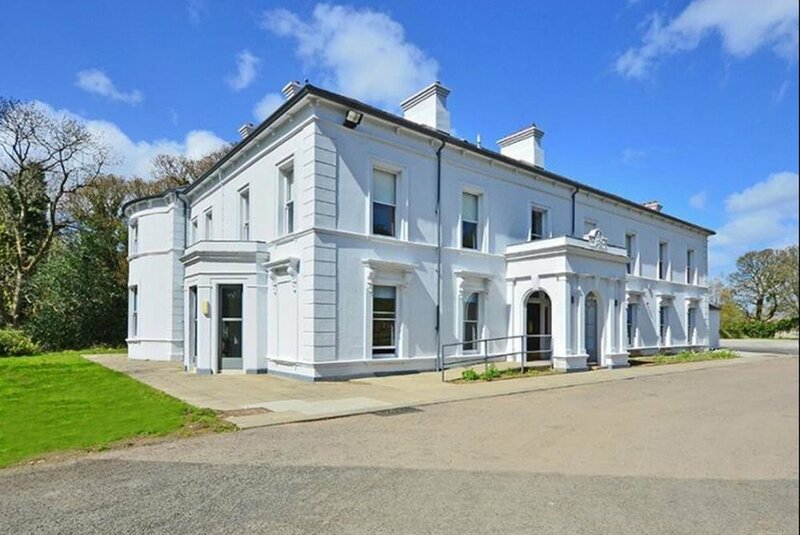 ‘At the end of the peace bridge, nestled in a beautiful historic park, lies one of the best kept secrets in the City, St Columb’s Park House. We believe that a better world is possible and that everyday people and everyday activism is the key to achieving this’. Dojo ends: Sunday 23rd Sept at 14:00 after lunch. If you can pay the full fee plus make a gift of any size this will go towards sponsoring someone else’s participation. We particularly hope those on low incomes and young people/students can benefit from this generosity in the practice of peace. The following fees are for participation and meals. Some thoughts on fees - practising conscious economy. We are also warmly encouraging early registration as that will help us organise and get ready. Meals during the training are included in the registration fee. Onsite accommodation is dormitory and costs £17.50 person/night. They have up to 45 beds distributed in 4 dorms and 2 leaders. The alternative is the Maldron Hotel for £98 or the City Hotel for £108 or the lovely new Shipquay Hotel which is £90/night/person. 2. Email Jools@thegoodsummit.com to confirm payment has been made. Your payment will be receipted when it is received. • Registration is confirmed once the payment is received. • A gentle reminder that early registration is encouraged so our budget is clearer. The tricky thing in preparing for an event is that all the planning depends upon the number of people who come. As a result, we are trying to get the clearest possible sense of attendance in order to prepare ourselves and the venue without incurring high fees for cancellations. • If you cancel your registration on or before August 10th, you will receive a full refund of all participation fees minus a 50€ deposit. • If you cancel between the August 11th and September 5th, you will receive 50% of your total fees. • From September 6th we must charge full fees. • You may of course give your place to someone else without any surcharge. While Ireland is a beautiful little island, it can take a little longer to navigate than you might expect. To help you with your travel plans here are a couple of routes and timings. What is a peace dojo? For general questions about accommodation, the venue, accommodation etc., that have not been answered in the above information, please email Charo Lanao on charolanao@gmail.com.